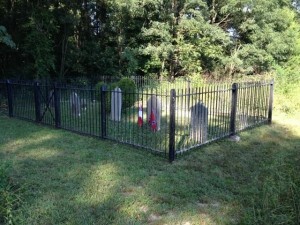 Compatriots have been busy this past week working in the Confederate cemeteries in the area. 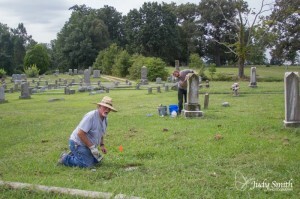 Compatriots Jim Tingle and Brand White were busy on Saturday morning cleaning headstones and searching for Confederate graves in the private section at Oakwood Cemetery in Richmond. 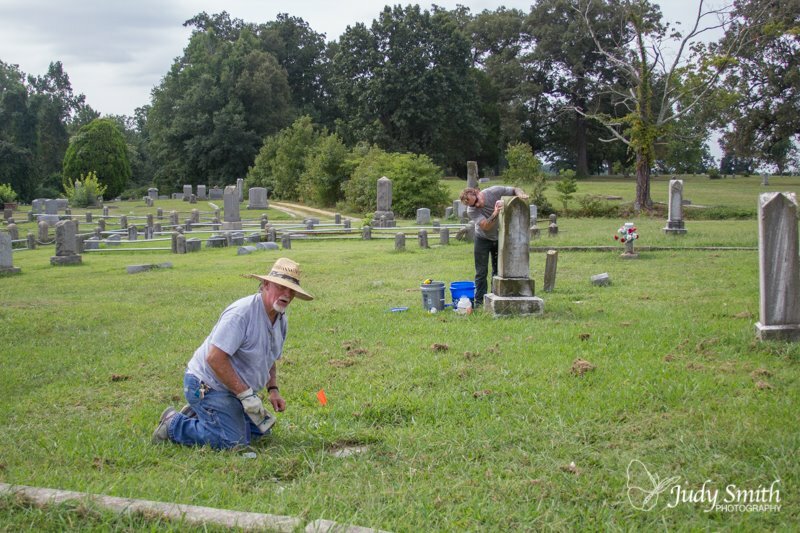 To finish out the day they spend a little over an hour at Hollywood Cemetery cleaning headstones and resetting flags on Confederate graves. 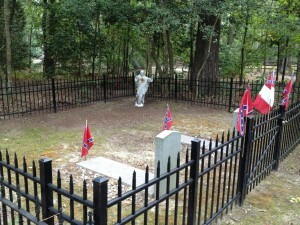 Meanwhile, Commander Creech tended the graves at the Unknown Confederate Cemetery, and those of Edmund Ruffin’s family. Get your August Newsletter here! As well as the proposed amendment to the camp by-laws for your review. ATTENTION: The rededication ceremony for the Hanover Courthouse Monument Rededication is scheduled for Saturday, August 23, 2014 at 2:00 pm. Please change your calendars to reflect the VERIFIED date. Thank you. 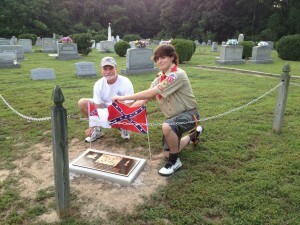 Tuesday a young man installed a plaque memory of the Confederate veterans buried in the church yard, as his Eagle Scout project, at Walnut Grove Baptist Church. Walnut Grove Baptist Church was used as a hospital during the war, during the Seven Days Battles and Cold Harbor. There are Confederate soldiers buried under the altar (as a way to hide them from the Yankee invaders) and Confederate blood still stains the floor at the altar. The highway department will also be restoring the Historical Marker at the church in September. 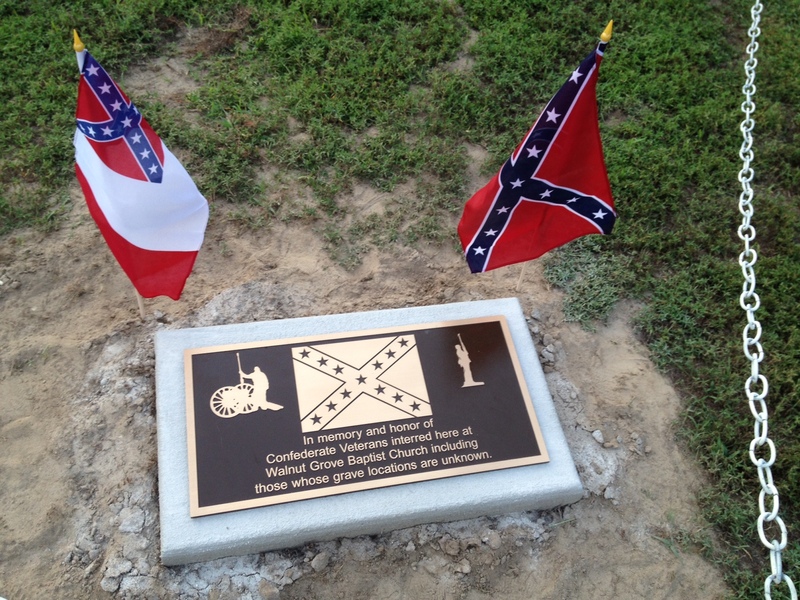 The basic information on the sign indicates that Lee and Jackson met at the church to form plans for the Seven Days battle.